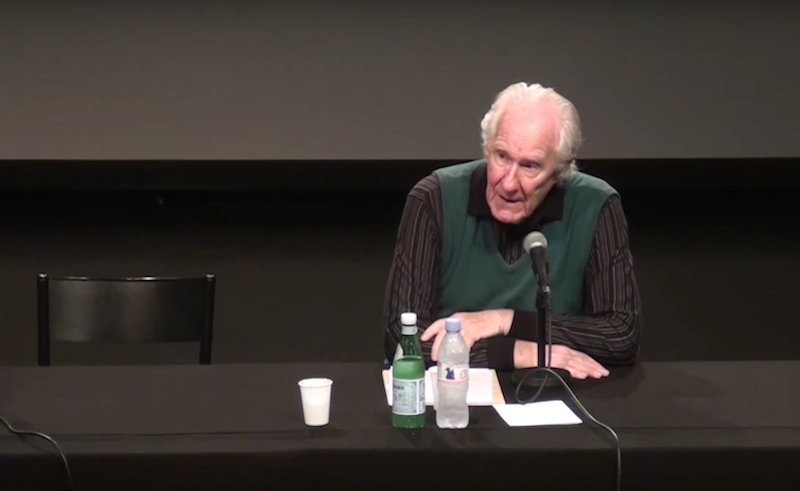 Alain Badiou, May 2017. via YouTube. First published in English at LeftEast. You have invested a lot of energy in realizing the Idea(s) of communism. What drew you to a revolutionary engagement and why? My father was a socialist, who participated in the Resistance against the Nazis. My mother leaned more towards anarchism. My first philosophy teacher, Jean-Paul Sartre, was a fellow traveller of the French Communist Party. When I was a teenager, there was a terrible colonial war in Algeria and I stood up against it. When I was 30, May ‘68 happened, a huge movement of young people and workers. In short, my entire education led me towards politics in its revolutionary and communist form. You have severely criticized the phenomenon of elections, which you consider a fool's game. Could you elaborate on that argument? What would be its alternative? Elections only work if there is basic agreement between the majority and the opposition concerning the organisation of the society. No one has ever seen a complete change of society that resulted from elections! And it is perfectly understandable: how could any party supporting a conservative idea of society accept a complete overturn simply as a result of voting? And inversely, if you change society through a revolution, how could you possibly accept a return to the way things were and calmly hand back power to the reactionaries? In our “Western” countries the rule is fairly simple: once in power, you can change some small details, but there is no question of changing the capitalist basis of society. Do you know of any “democratic” country that is not in fact, and above all, dominated by an extremely stable capitalism? Elections are but a façade for preserving the dominant order. The German economic sociologist Wolfgang Streeck said that today’s political imagination has faded due to the capitalistic dynamic and that capitalism would crumble without any kind of alternative scenario ready to replace it. How would you comment on that? It is completely false. The heart of capitalism, its absolute condition of existence, is private property over the means of production and exchange. It is the existence of a very small oligarchy that controls the capitals of the big multinational corporations; it is the excessive power of money, that creates false values as exchange values, fixed by the market, and not by the use value of commodities. If you attack all of it, if you change the mode of production, you really step into another world. The alleged power of capitalism, its false “dynamism” — it actually goes through long periods of crisis and stagnation — today is merely a reflection of the weakness of its opponents. In the Communist Hypothesis you posit that certain great leftist moments existed in the previous century, but also that the communism of the 20th century is finished and that we should restart. With that in mind, I would like to ask you what can be learnt from the failures of the 20th-century communism and what should be the foundation of communism today? The weakness of the communism of the 20th century was primarily political. Centralised and militarised communist parties were good instruments for seizing power. But they were not good instruments for organising communist society. They were too attached to state power and did not develop a true internationalism. We now have to organise communist power around three things: mass movements, organisations that continuously forge the slogans and wills of the movements, and, what will remain for a long time states, which must be under the constant supervision of the movements and organisations. The great failure of the 20th century was the fusion of the Party with the State, the creation of Party-States, gradually cut off from the masses. The political dialectic has to comprise three terms: (movement, organisations, states) and not two (masses and state), or even one (Party-State). You called capitalism the sickness of mankind. However, capitalism is the reality for many people who consider it the only workable system. How can we make communism appealing to people preoccupied with consumerist culture? When only one social and dominant regime is left, once it achieved huge victory over its communist adversary — it is obvious that it will create widespread support. In 17th century France, the overwhelming majority of the French thought that the absolute monarchy was the only possible political form. One century later, this belief did not prevent republican revolutions and the installation of the capitalist bourgeoisie in power. The same is true for today. The thing you call the “culture of consumerism” is simply the dominant ideology under the “democratic” dictatorship of the bourgeoisie. The bourgeoisie in effect draws its profits from a circulation of commodities that is as rapid as possible. However, in one or more centuries, the hold this ideology has on today’s minds certainly won’t prevent the replacement of this corrupt commodity “order” with a reinvented communism. With the fall of real socialism, the debates about communism have been marginalized. The communism-oriented parties are weak and communism is argued only in narrow intellectual circles. How can we transfer the debates about communism from the margins into the center of (public) attention? – reduction and suppression of the “big differences” that affect our lives practically: between manual and intellectual labour, between town and country city, between managerial and executive tasks… Creation of a polymorphous worker. – gradual disappearance of false collective identities, whether racial, national, religious, etc, that poison public life. – gradual withering away of the state in favour of direct self-management of society, in the form of continuous meetings determining the slogans, tasks and goals. Twenty years ago a bloody disintegration took place with Yugoslavia. How do you explain the dissolution of Yugoslavia and how do you regard the post-Yugoslavian territory from today’s perspective? I am for the withering away of states, for Marx’s slogan: “the workers have no country." I am firmly internationalist. From this point of view, I am generally opposed to dismembering of existing states and to artificial “independence” supported by chauvinism or tradition. We need to abolish nationalist oppressions from above through internationalist activity, and not from below by the regional nationalisms. I strongly regret the disappearance of the ex-Yugoslavia, and I do not at all believe that the existence of some ten states in its place constitutes progress. Certainly, the colonial empires had to collapse. During the Algerian national liberation war, I supported the Algerians. I also supported Vietnamese against the USA army. But this epoch is basically over. Today, communist internationalism comes first!